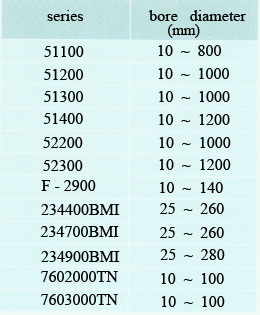 This type of bearings is separable, which can only carry axial load. 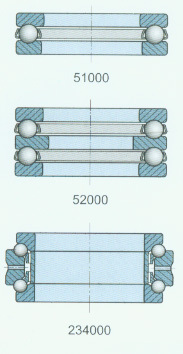 The single direction bearings of them can only carry axial load in either direction. 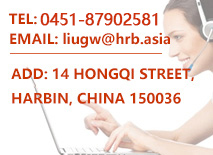 Before using they have to be preloaded. 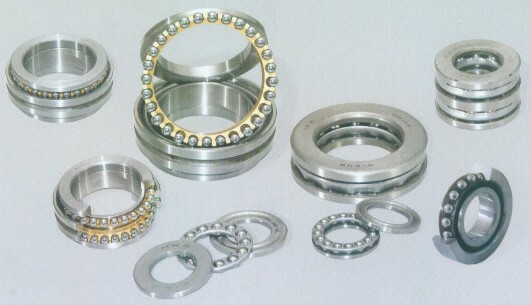 The thrust ball bearings are used in lathe centers, automobile clutches, reducers and so on. 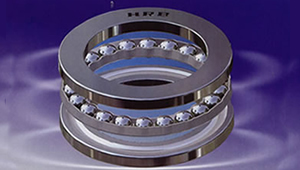 The double direction angular contact thrust ball bearings are suitbale for machine tool spindles, while the single are used to support ball screws.